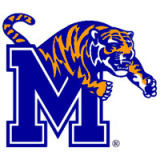 The Cincinnati Bearcats and the Memphis Tigers will mmet on Thursday at FedEx Forum. American Athletic Conference co-leader Cincinnati entered the rankings for the first time this week at No. 23. TV: 7 p.m. ET, ESPN2 LINE: Bearcats -4 O/U: 149. Cincinnati held off a second-half rally from SMU for a 73-68 triumph Saturday to extend its winning streak to seven games. They must be ready against a Memphis squad that is 11-1 on its home court. Bearcats coach Mick Cronin told reporters his team must embrace the pressure and take care of the ball against the Tigers. Memphis’ only loss at home was against No. 1 Tennessee. They have won their last two at FedEx Forum by a total of 42 points. Memphis comes in after two straight losses on the road. They wasted a record 41-point second-half performance from guard Jeremiah Martin in an 84-78 loss at South Florida on Saturday. The loss was because the team scored just 13 in the first 20 minutes. The Bearcats are 19-3 overall and 8-1 in the AAC. Guard Jarron Cumberland is second in the league in scoring entering Wednesday. He is pouting in 18.7 per game and also leads the Bearcats in assists (3.5) and steals (1.3). Guard Keith Williams is the only other player averaging in double figures scoring (11.0). The team has four others contribute at least eight points per contest. Forward Tre Scott tops the team in rebounds at 6.3 per game. Guard Justin Jenifer averages 8.8 points and takes care of the ball about as good as anyone in the country. His remarkable stats read 71 assists and just 14 turnovers. The Tigers are 13-9 overall and 5-4 in the AAC. Martin leads the team in scoring at 16.3 ppg. He is the first Tiger to score at least 40 in a game since Marcus Moody scored 41 in 1997. The 6′-3″ guard’s effort Saturday tied him for the sixth-most in school history. Forward Kyvon Davenport averages 14.4 points and a team-best 7.4 rebounds. He is struggling and is just 9-of-29 from the field the last two games.